MTSU’s doctoral program was the first in the U.S. to declare public history as the major field of study. The Ph.D. in Public History at Middle Tennessee State University is an innovative, practice-based, individualized program of study. This program provides a community of nationally recognized scholars and cultural heritage professionals cooperating to train the next generation of leaders in the field. The Department of History offers the doctorate in partnership with the Center for Historic Preservation, the Albert Gore Research Center, and the Center for Popular Music, along with the Walker Library Media Studio for digital collections and initiatives. Interdisciplinary education is offered for specialized practice in historic preservation and cultural resource management, museum management, archival management, oral history, and public archaeology. A year-long residency is at the heart of the Public History doctoral program, designed to assist candidates in melding scholarship and theory with professional practice. A limited number of 12-month long doctoral assistantships are awarded on a calendar-year basis, with four years of funding available. Live outside of Tennessee? You could be eligible for in-state tuition and save thousands of dollars. Doctoral candidates Aleia Brown, Michael Fletcher, Torren Gatson, Caleb Knies, Rachel Lewis, Kayla Pressley, and Jenna Stout were among MTSU Public History students who transformed a national historic site during a three-week field school. Curators’ main interpretive focus at Jekyll Island, Ga., had been on the multimillionaires of America’s Gilded Age who created a retreat fit for royalty. MTSU’s graduate students gave voice to women, servants, children and other marginalized people who enabled the privileged class to relax. The 13 students in Dr. Brenden Martin’s May 2014 Public History Practice class set up three exhibits, conducted four oral history interviews, developed an interactive multimedia website, created a booklet interpreting African Americans’ contributions to local history, and more. A tactile, interactive display showed tourists what servants’ lives were like. “Our goal was to show that, yes, there’s this extravagance that everybody’s attracted to, but somebody still has to make the food. Somebody still has to empty the chamber pots,” Lewis said. Michael Strutt (2012) (pictured), Cultural Resources Program director for the Texas Parks and Wildlife Department, oversees cultural resources and historic preservation management for more than 2,000 historic structures and 4,000 recorded archaeological sites. Susan Knowles (2011), a Jim Huhta Post-doctoral Fellow at the Center for Historic Preservation, curated the award-winning Shades of Gray and Blue: Reflections of Life in Civil War Tennessee, a collaborative website and digital collection of the MTSU and Vanderbilt university libraries. Heather Bailey (2010) directs the new western field office (Durango) of the Colorado State Historic Preservation Office and State Historical Fund. Brian Hackett (2009) directs the public history master’s program at Northern Kentucky University. Tara Mitchell Mielnik (2007) federal programs coordinator and historian for the Metro Nashville Historical Commission, coordinates the MNHC/TSU Nashville Conference on African American History and Culture. Wallace Community College, Selma, Ala. The History Department offers a Doctor of Philosophy (Ph.D.) in Public History and the Master of Arts (M.A.) in History with a concentration in Public History, as well as a traditional Master of Arts (M.A.) in History. MTSU’s Public History Ph.D. program is an innovative, practice-based, individualized program of study offered in partnership with the Center for Historic Preservation, the Albert Gore Research Center, and the Center for Popular Music. Admission to the doctoral program requires a master’s degree from an accredited university or college; 18 semester hours of undergraduate or graduate history coursework; and an acceptable GPA in master’s degree work (and in undergraduate history classes). Applicants admitted conditionally have a specified period of time to satisfy the conditions of admission. The Ph.D. in Public History requires foreign language competency or alternate research skill set. A 12-credit hour Certificate of Advanced Study (CAS) in Museum Management is available to students currently pursuing an M.A. in Public History at MTSU, to MTSU alumni who hold an M.A. in Public History, and to applicants who hold an equivalent M.A. from another university. Students in the traditional Master of Arts in History program may choose a major field in United States or European History, but graduate classes in global history can fulfill requirements for the minor field. A graduate history minor also is offered. The undergraduate degree in history comes in four forms: the Bachelor of Arts (B.A.) in History, the B.A. in History with Teacher Licensure, the Bachelor of Science (B.S.) in History, and the B.S. in History with Teacher Licensure. An undergraduate minor in history is also offered. The department additionally coordinates interdisciplinary minors in African American Studies; Media, History, and Culture; Environment and Human Society; Medieval Studies; Southern Studies; Twentieth-Century European Studies; American Culture; and War, Policy, and Security. The History Department offers the Master of Arts in History, Master of Arts in History with a concentration in Public History, and a Ph.D. in Public History. For the most current information about the program, department policies, and admission standards, please visit the department website at www.mtsu.edu/history. an earned master's degree in history or a related field from an accredited university of college. completion of at least 18 semester hours of graduate or undergraduate history credit. Applicants who do not meet these minimums and are admitted conditionally have one year to satisfy the conditions of admission. an acceptable grade point average (GPA) in master's degree work (and an acceptable GPA in undergraduate history classes). All application materials are to be submitted to the College of Graduate Studies (graduate@mtsu.edu). Application deadline for the Ph.D. is February 1. The History Department does not consider graduate students for spring or summer admission. submit a professional portfolio containing work that demonstrates mastery of research methods, historical analysis, interpretation, and presentation. The portfolio may include research papers, projects, publications, proposals, exhibits, and other public history-related work. elect an alternative research or professional skill such as GIS, oral history, quantitative analysis for history, American Sign Language, a specialized area of critical theory, or a professional level of competency in relevant information technology platforms. Students are responsible for finding appropriate courses or an expert willing to train them and test competency. The public history director, graduate director, and major professor all must approve petitions for alternative research or professional skills. Regardless of the option selected, a student will demonstrate proficiency in the professional portfolio. take and pass written and oral preliminary exams in the history field and interdisciplinary field. The written exams are based on coursework and a substantial reading list developed by both the student and the field advisors. As part of the oral exam, the candidate must defend the residency proposal. The written exams are evaluated by the student's history advisor and interdisciplinary advisor; the oral exam is evaluated by the student's dissertation advisory committee. complete a dissertation and successfully defend it in the final oral examination. The professional nature of public history, the interpretation of history for diverse audiences, and the application of historical methods in the wider world. Combines reading and discussion, interaction with practicing professionals, and possible experiential learning component. Students participate in a colloquium in conjunction with an assignment to a professional residency at one of the centers of excellence or at an institution of similar national reputation. Participants meet at least once each month, in sessions open to faculty and staff, to analyze common readings and individual/group projects. In order to practice public history effectively in any area of specialization, students must have an excellent grasp of historical context. Hence, in consultation with the public history director and dissertation advisory committee, each student will construct a history field focused chronologically, geographically, or topically, selecting courses from the history seminars offered by the department. Each student will demonstrate mastery of this field through qualifying exams. It is important that students understand public history practice from multiple perspectives. Hence, in consultation with the public history director and dissertation advisory committee, each student will design an interdisciplinary field that complements and strengthens his or her public history specialization, selecting potential graduate courses from history, anthropology, mass communications, recreation and leisure, business, or other departments as appropriate. Each student will demonstrate mastery of the interdisciplinary field through qualifying exams. Selection of a research problem, review of pertinent literature, collection and analysis of data, and composition of dissertation. Once enrolled student should register for at least one credit hour of doctoral research each semester until completion. S/U grading. No more than six hours of HIST 6910, HIST 6920, HIST 7910, or HIST 7920 may be counted toward degree requirements. No more than nine hours of HIST 6930 or HIST 7930 may be counted toward degree requirements. No more than six hours of HIST 6994 or HIST 7994 may be counted toward degree requirements. Students entering with a Master's in History and extensive, recent, professional experience may have up to 12 credit hours applied after a determination that the content of previous courses and the nature of recent professional activities meet the student learning outcomes for graduate courses in history. The History Department offers the Master of Arts in History, Master of Arts in History with a concentration in Public History, and a Ph.D. in Public History as well as a graduate certificate in Museum Management. The certificate program seeks to provide an opportunity for students to pursue advanced study for careers in museum management and in-depth professional training for graduate students seeking employment in public and private institutions at the national, state, and local levels. This certificate in Museum Management also provides a transitional bridge to the Ph.D. program in Public History. The certificate of advanced study in Museum Management offers an opportunity for students to take relevant graduate courses outside the History Department to meet their specific needs and interests. an acceptable grade point average in all college work taken. Modifications to the above requirements may be made with the permission of the department’s director of graduate studies and the department’s graduate committee. successfully complete a portfolio review. In-depth analysis of museum management issues from acquisitions and collections to curatorial care and exhibitions. Includes advanced problem-solving for museum staff and consideration of ethical issues such as repatriation of artifacts. Examines the theory and practice of educational outreach and public programming for historical organizations. Designed to provide in-depth study in reference services, outreach, history education, advocacy, and assessment for a variety of cultural institutions. Examines theory and methodology of oral history, including in-depth examination of the relationship of history and memory; explores oral history in texts, films, websites, and museum exhibits. Students focus on how to conduct professional quality oral history interviews, how to process the materials, and how to organize a professional project. Intensive study of administrative functions, issues, and problems common to historical organizations. Combines reading and discussion, team problem-solving, and experiential learning component served in a local historical organization. Examines theory and practice of collection management practices in archives and museums; designed to prepare students to manage archives and museum collections in a variety of cultural institutions. Explores the relationship between archaeological research and public history with an emphasis on methodology, theory, and interpretation and how to ethically and effectively communicate conclusions to the public. Examines timely issues of public history practice in depth with a nationally recognized scholar in the field of historic preservation, cultural resources management, museum management, oral history, public archaeology, or other area of professional practice. Provides individualized, advanced training in historic preservation, cultural resources management, museum management, archival management, or other areas of public history practice. Students may transfer up to six (6) credit hours of approved coursework into the certificate program. The time limit for use of credit toward the certificate is six years from the date of enrollment in the earliest course applied toward the certificate, including transferred courses. Candidate must file a Notice of Intent to Graduate form in the College of Graduate Studies within the first two weeks of the semester in which candidate intends to graduate. The MTSU Department of History added an emphasis in historic preservation to its master’s program in 1976 and to its former doctorate degree in 1981. Historic preservation and the preservation of American popular music assumed a public dimension in 1984 when MTSU established the Center for Historic Preservation and the Center for Popular Music, with missions that combined research and public outreach. After adding courses in museum studies, material culture, and archival methods, the master’s program concentration changed its name to Public History in 1991. History faculty also developed the Albert Gore Research Center, which opened in 1993. In 2005, the department launched a new Ph.D. in Public History, the first doctoral program nationally to declare public history as the major field of study. Today, MTSU’s Public History program partners with all three campus centers and collaborates with the Walker Library Media Studio to develop digital collections and other digital initiatives. To help support students pursuing graduate study, the Department of History offers a number of graduate assistantships at both the M.A. and the Ph.D. levels. These assistantships are awarded on a competitive basis and are renewable for up to two years for M.A. assistantships and up to three years for Ph.D. assistantships. Graduate assistants receive a tuition waiver plus a stipend to cover living expenses. In return, graduate assistants work a maximum of 20 hours a week during the semester on an assignment determined by the History Department. These assignments include work as teaching assistants, research assistants, and other duties related to the ongoing work of the department and our on-campus partners. To apply for a graduate assistantship with the History Department, complete the College of Graduate Studies' Graduate Assistantship Application, and submit it to the Department of History along with the rest of your application. Many M.A. and Ph.D students in the History Department also work as research fellows, graduate assistants, and hourly employees for MTSU's Center for Historic Preservation. The Center has a separate application and review process for these positions. You can read full descriptions of these opportunities on the Center's Academic Opportunities page and download the Center's Application for Student Academic Support. The department urges students applying for a graduate assistantship with the History Department to apply to the Center as well. Public history embraces a wide array of history-related fields. The MTSU Public History program offers specialized education and professional training in historic preservation, cultural resource management, museum management, archival management, oral history, and public archaeology. The Program also collaborates with the Walker Library Media Studio to develop digital collections and other digital initiatives. Historic preservation involves the identification, preservation, and interpretation of historic resources determined to be "significant" in American history. Examples of significant historic resources include properties such as: buildings, structures, objects, districts, archaeological sites, cultural and religious sites, historic landscapes, and examples of innovative architecture and engineering. Whether considered significant for their historic associations or architectural aesthetics, preservationists approach historic resources as "texts" that help reveal details about the past lives and values of the people who created them. In addition to their utility as sources for research, historic resources provide communities with a sense of character and identity. The preservation of our historic built environment is vital to our understanding of history at the national, state, and local levels. 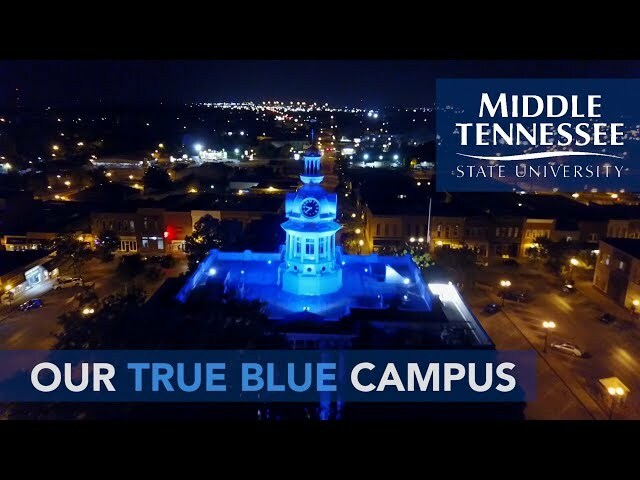 Students trained at MTSU will be equipped to work with historic resources in a variety of public and private settings, including such venues as downtown historic districts, state historic preservation offices, military bases, national parks, federal agencies, historic sites, preservation or cultural resources management consulting firms, architectural and engineering companies, departments of transportation, and various non-profit organizations. In recent decades, historic preservation has become increasingly focused on economic development programs that adapt or recycle historic buildings for such new uses as offices, stores, restaurants, museums, and housing. Historic preservation planning is another field attracting increasing attention, particularly as communities struggle to deal with the destructive effects of suburban "sprawl" on historic buildings and rural resources. See Center for Historic Preservation. Of the four area concentrations, students are least familiar with cultural resources management or CRM. In fact, historic preservation is integral to cultural resources management (identification, preservation, and interpretation of historic resources), both are shaped strongly by the National Historic Preservation Act of 1966, which created the National Register of Historic Places, and a variety of other laws and regulations. For example, both fields require knowledge of historic architecture, but CRM incorporates the study and analysis of cultural landscapes, archaeological sites, natural resources, and Native-American burial grounds. CRM typically involves the responsibilities of major federal land-management agencies in the United States such as the National Park Service, the U.S. Army Corps of Engineers, the Bureau of Reclamation, and the Bureau of Land Management. With jurisdiction over millions of acres of land and cultural resources (buildings, objects, sites, structures, and districts), these agencies operate within a regulatory system that requires not only careful stewardship of the national domain but also interpretive programs for public education and entertainment. The training and skills involved in historic preservation and CRM are closely intertwined, both conceptually and organizationally. Separating the two areas of concentration can be difficult, but they do have distinguishing characteristics. Moreover, MTSU's other two areas, Museum Management and Archival Management, also deal with the identification, preservation, and interpretation of "historic resources." The museum concentration at MTSU is designed to give students the training they need to succeed in a wide variety of museum careers, such as museum administrators, curators, registrars, and educators. The goals of our museum studies courses are to provide in-depth knowledge of the theoretical and methodological issues that effect today's museums and to apply that knowledge with practical, hands-on experience. Our course offerings emphasize applied training in museum administration, collections management, exhibit development, fundraising, museum education, and other technical and communication skills. As new technologies and ideas continue to transform traditional museum practices and employment patterns, our concentration in museums has responded to these changes by offering the skills, knowledge, and attitudes needed by current and future museum professionals. Governments, organizations, and individuals throughout history have recorded information in a variety of textual, visual, aural, and electronic documents as they carried out their daily activities. Those documents preserve personal, community and institutional memory and extend that memory over time, space, and place. Individuals and societies depend on these documents to establish their legal rights and to insure the accountability of governments, businesses, and other institutions. Society charges archivists with selecting and preserving those documents that have enduring legal or social value and making them available to present and future users. Students in the archival concentration acquire the skills they need to meet that responsibility. Introductory and advanced courses cover the seven domains of archival practice recognized by the Society of American Archivists and the Academy of Certified Archivists: appraisal, arrangement and description, access, preservation, outreach, professional responsibilities, and management. Students also have an opportunity to achieve proficiency in a single domain through an archival practicum and to acquire broad professional experience through an internship in one of a variety of cooperating repositories. See Albert Gore Research Center, Center for Popular Music, Rutherford County Archives. Graduates can expect to find employment in national, state, and local government archives; manuscripts repositories and special collections associated with historical societies, educational institutions, and other cultural agencies; and a wide range of organizations and businesses. They should also be able to pass the examination to become a Certified Archivist.